Built as a brewery by the Albion Brewery, later known as the Berger Brewery. Hand laid stone and the main footprint that is AREA 405. The lots were purchased by the C.M. Kemp company. The four story brick structures were built with the crossing three story connector, and on the 405 side of the building, the brick was built atop the original stone brewery foundations. Kemp Manufacturing made compressed air dryers for manufacturing and industry that are still in use today in Florida. Kemp also rented out space to smaller companies - electrical supply builders, telephone companies and other small manufacturers of bits and bobs. The two big buildings in the back were built, ultimately comprising the full 66,000 square foot compound. Tom-Len, a furniture and marine upholstery group occupied the building, making pseudo-scandinavian stuff as well as urethane products, marine foam pads, and other semi useful items that took up space. 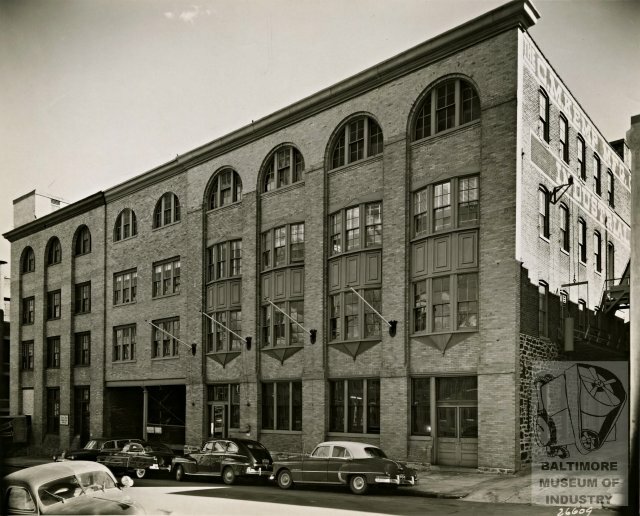 The buildings were purchased by the Crown Shade Company, who manufactured and sold hundreds of thousands of window shades and venetian blinds through 1989. Crown Shade Company removed the the two-story bay windows, whose wood framing had greatly deteriorated and glass was used for target practice. During this era, the overhead doors and fire safety system in the front gallery were installed. Moving to Rosedale in 1989 - where they continue to do business today - Crown turned over the Oliver Street facility to Henry's Shade Company, who sold off old stock from this location until Henry's death in 1998. When we toured the building in January 2001, we found it floor-to-ceiling full - nearly all 66,000 square feet of it - of defunct machinery, debris, rolls of vinyl, old stock and detritus. Henry's telephones were still ominously blinking with messages, and even with the behemoth stockpile and the chill of vacancy, we knew we had found our home. The building was purchased by the LLC we formed in March, 2002, and with little idea what a massive undertaking we had in store, we set out on a 5 year plan. The most important part of our work being getting the sprinkler system up and running, getting an alarm system in place and encasing the stairwells for fire protection. 160 industrial-sized 30 yard dumpsters of debris have been removed from the building in the first seven years of ownership, along with countless tons of cardboard and wood for recycling. Two tractor- trailer loads of rolls of vinyl sent to India for use as roofing material - we also like to believe they were made into super hero capes - the weight of that was 35,000 lbs. Over 400 tons of steel has also removed and recycled - that's 800,000 pounds without the benefit of electric equipment - loaded and carried away using only gravity, pallet jacks, human muscle and sheer will fueled by lots of beer, pizza and friendship! 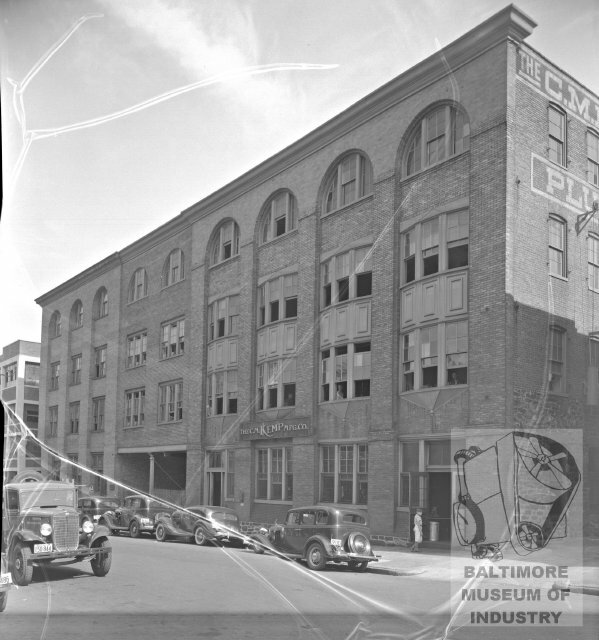 With over 40 artists working at Oliver Street Studios, The Station North Tool Library, and AREA 405 celebrating its 16th year of Artist Run operations, we continue to proudly function as an anchor of the Greenmount West neighborhood, Station North Arts & Entertainment District and Baltimore City. 405 East Oliver Street has been a hub of artistic, community, and social activity ever since, officially opening its doors as AREA 405 in February 2003.